Brenda Sutton has always been passionate about two things: making land work and not wasting food. But before those interests mushroomed into her business, Fogwood Food, Sutton was known around the state under another name: The Produce Lady. As extension service director in Rockingham County, she was the face of a state program that focused on building a market for locally grown fruits and vegetables. Using a grant from the N.C. Tobacco Trust Fund Commission, The Produce Lady was started to help farmers learn to market themselves. But Sutton and her colleagues got so many questions from shoppers at farmers markets that they ended up making more than 50 videos — still available to watch online — on how to cook fresh produce. In 2013, the grant ran out just as Sutton was ready to retire. She put The Produce Lady on hold and started building her line of Fogwood Food products from things she could find or grow on her Rockingham County property, known as Fogwood Farm. 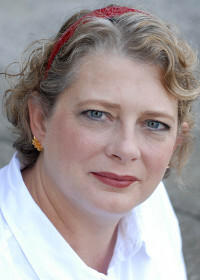 Sutton was inspired to start making jams and syrups when she saw unused produce getting thrown out at farmers markets. She came up with concoctions like Balsamic Grape Hull Syrup and Spiced Tomato Jam to use unsold produce. “A lot of those were developed because I couldn’t stand for food to go to waste,” she says. 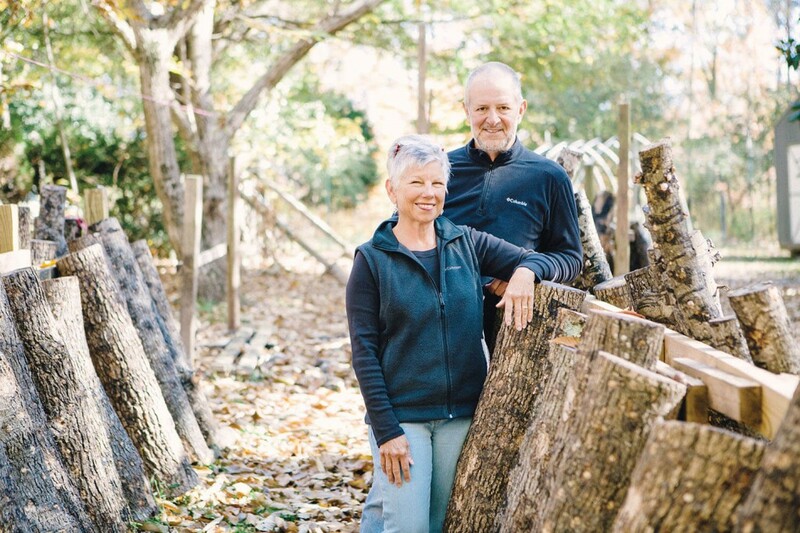 Her real focus, though, is shiitake mushrooms, grown on 1,200 hardwood logs that were harvested on her land. Fogwood Farm is wooded and shady, so Sutton needed to find something that could grow sustainably on small plots without much sun. She began growing mushrooms in 2004; today, she mostly grows them on red and white oak cut from the land. She’s also experimenting with growing shiitakes on gum tree logs. 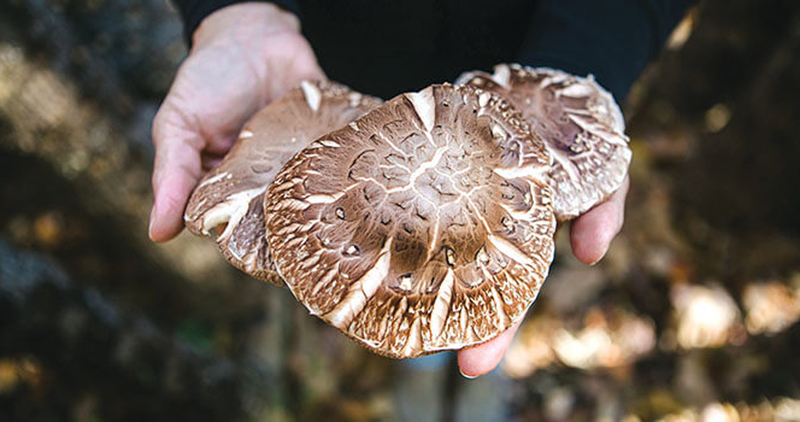 Sutton sells the mushrooms fresh, dehydrated, and as a powder, which can be mixed with vegetable juice or rice, or used as a binder for ground meat. She decided that was even better.